Don’t answer that — we know your favorite dog is your own. You’ve got the framed photos on your desk to prove it. Whether you’ve already twisted your boss’s arm into letting you bring your dog to the office for Take Your Pet to Work Week or you know your dog really can’t be trusted with a day job, there’s a freebie all dogs (and their owners) can bark about. Einstein Bros. Bagels is offering free doggie bagels all week. Visit your local Einstein Bros. Bagels between June 19 and 23 to get a free doggie bagel with purchase. You’ll need a coupon, so head to Einstein’s Dogs Eat Free website to print one or have it sent to your phone. Show your coupon when you’re picking up your morning coffee and bagel, and you’ll receive one doggie bagel. The coupon is not valid at hospital, airport, hotel, college or military base locations, so you may want to check with your nearest shop before making any promises to your furry best friend. Einstein Bros. Bagels has more than 700 locations across the U.S., which is probably about as many hiding spots your dog has for the chew bones he wants to save for later. And just remember, you probably can’t take your dog inside the bagel shop. I know, it’s tough being a dog. The Freebie Doesn’t End on Friday! Einstein Bros. Bagels will extend the Dogs Eat Free offer though the summer, according to a release. 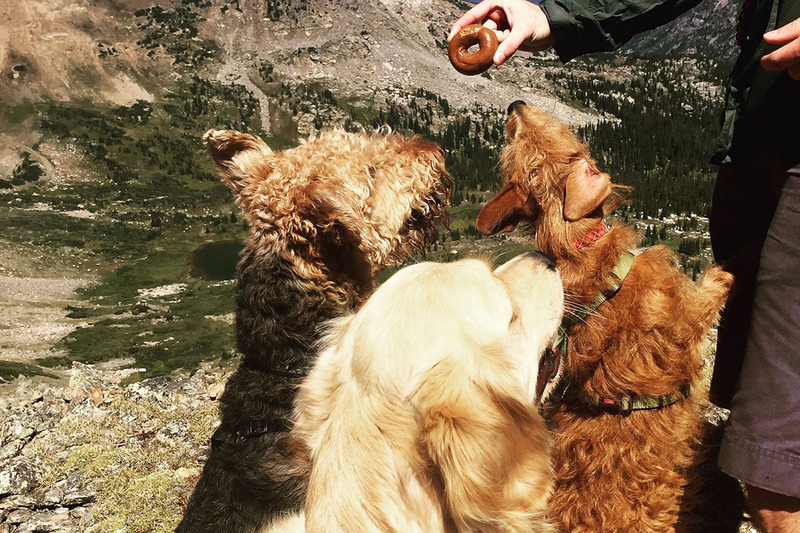 Every Tuesday, you’ll be able to pick up a free doggie bagel. Check the Dogs Eat Free website for an updated coupon. Lisa Rowan is a writer and producer at The Penny Hoarder. The way she fawns over dogs in public, you’d think she’d just get one of her own already.